In view of Spring temperatures, what better way to get to know the Mount Prospect Police Department than over sweet hot cocoa with whipped cream. The Cocoa with a Cop event, hosted by Mount Prospect McDonald’s, on Wednesday, March 13th, at 13 W. Rand Rd., which aimed to bring the community together did just that by serving up more than 30 cups of hot cocoa to customers. 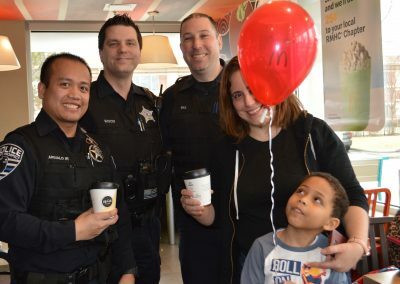 David Bear, owner-operator, of the Mount Prospect-based McDonald’s franchise, said that taking part in such community-building events help to bridge relationships between residents and the local police force. Bear says events like these are a great opportunity for residents to come up and ask questions. 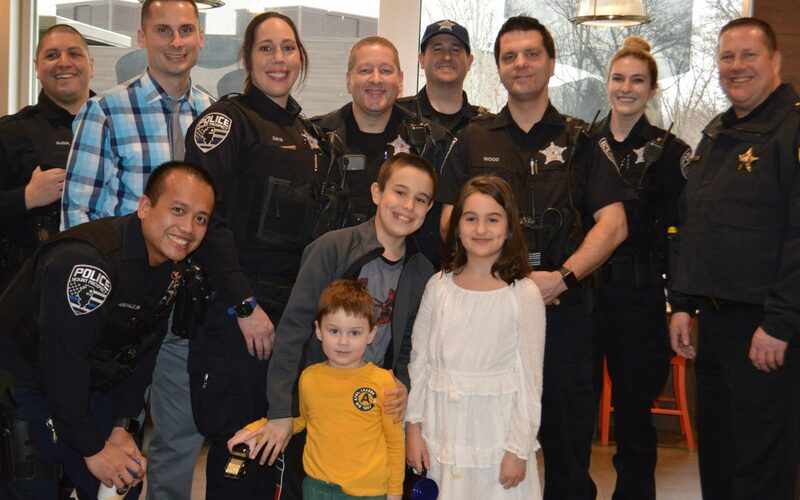 School Board member Olga Omihailovic from D57 stopped by with her kids and was thrilled to see Mount Prospect’s finest at work bridging the bonds of the Community. Sergeant Kane and Officers Nelson, Sill, Frances, Arevalo, Nava and Rondeau attended the event to personally meet and greet those in attendance. 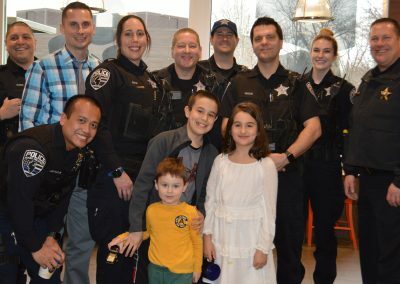 “We are proud of the role we have maintained in Mount Prospect, and we are happy to see the community and the local police department enjoying cocoa and conversation together. It’s a perfect way to bring this Winter to an end.” Bear said. 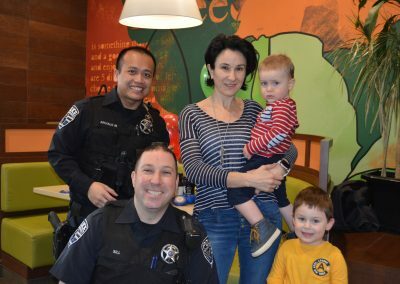 For more information about events provided by the Mount Prospect McDonald’s, please contact Community Relations Director, Julie Travers at julie.travers@comcast.net.